The growth in the use of e-cigarettes has not led to a boom in teenagers taking up tobacco smoking, research suggests. Britain’s biggest e-cigarette retailer has revealed plans to expand its footprint into Europe before making a potential stock market debut as it capitalises on the booming vaping industry. Organisations on both sides of the tobacco divide have called on Dundee City Council to support employees who want to quit as best they can. 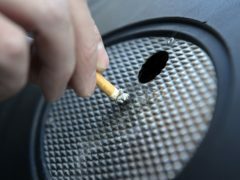 Dundee City Council workers face disciplinary action if they smoke on shift under a new policy which has been branded “heavy-handed”. Helpful or harmful – what is the truth about e-cigarettes? E-cigarettes are back in the news after MPs on the Science and Technology Committee (STC) said rules around the devices should be relaxed to help accelerate already declining smoking rates. 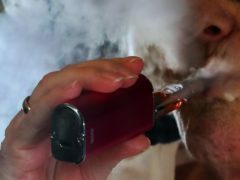 Vaping can clear up sore throats – even in non-smokers, according to experts. Smokers considering making the switch from tobacco to e-cigarettes are being asked to participate in a health study being run by the University of Dundee. 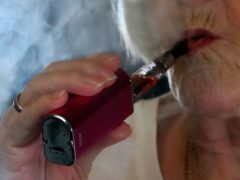 As more smokers make the move from tobacco cigarettes to electronic versions, researchers at the University of Dundee are asking them to help with a research project looking into the effects of e-cigarettes and vaping. New rules on vaping are coming into force within weeks - and if you're a vaper you will need to be aware of these changes. A vaping shop is set to feature in a reopened Dundee supermarket that closed suddenly in January.